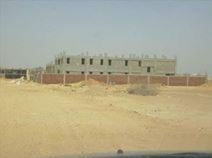 This factory / warehouse space is situated in a prime Cairo location close to Smart village. The property is secure with metal doors and windows while electricity and water supplies are included. This site features three floors of 700m² each and an available ground floor space ideal for smaller scale projects or storage requirements. The flooring is concrete with a durable, high quality finish and there is a space for an administrative area within provided offices of approximately 250m². Situated almost at the midpoint between New Cairo and Maadi this modern serviced office space ranges from 12m² to 30m² and benefits from a great strategic position. With modern furnishings throughout, the space overlooks the Ring Road in central Cairo. It is the ideal workspace solution for companies with both local and international relations since it is on the main road connecting East Cairo, West Cairo and Cairo International Airport. With a premium downtown location in the Mohandessin district, tenants benefit from a shared 180m² conference hall with 400m² outdoor terrace. Clients are offered all conveniences of modern business environment through ‘Class A’ fully furnished, air conditioned office spaces with flexible designs, and no upfront costs. There is a double height prestigious entrance to show off your corporate identity, an eye-catching façade, providing increased exposure to natural light through double glazed glass curtain wall for maximum energy efficiency, and a shared 180m² conference hall with 400m² outdoor terrace for tenants usage free of charge.